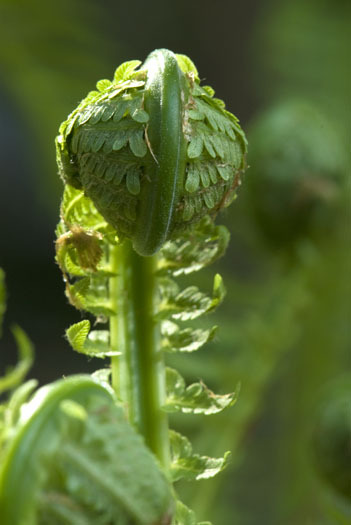 I have posted a couple of photographs of ferns heads stilled rolled up tightly, but this one has just unfurled. 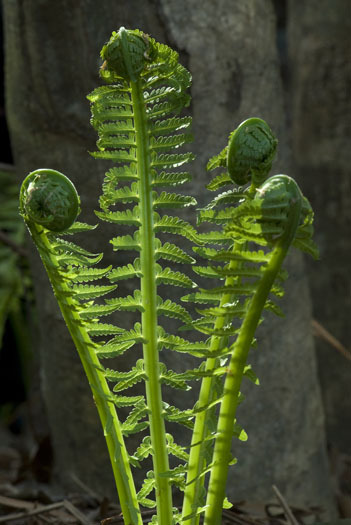 The brand new leaves still have a few specs of dirt on them that were carried along as the fern rose out of the earth. 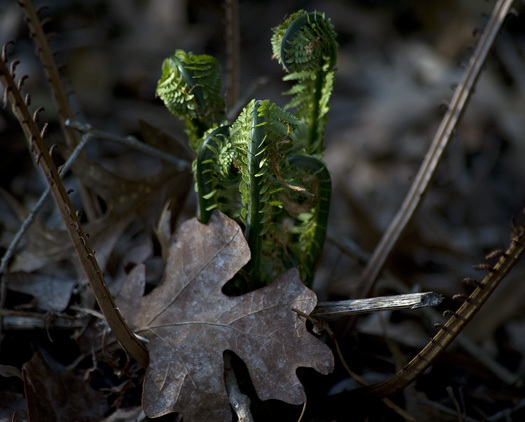 Ferns are popping up out of the leaves seeking sun and warmth, just like us! 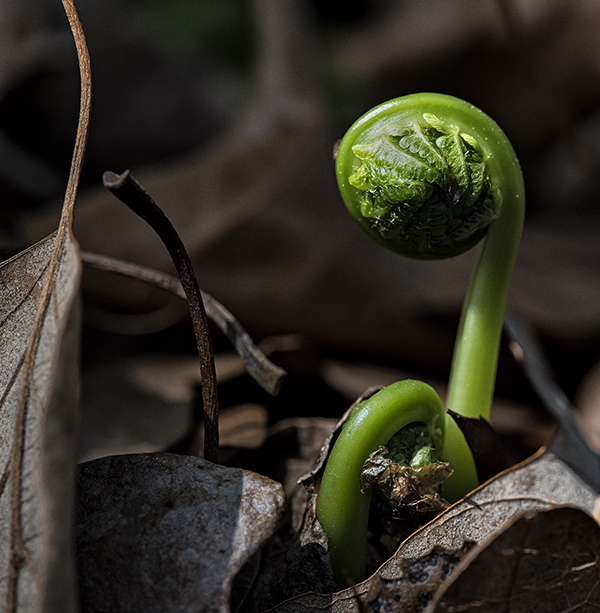 Spring-like weather has sprung in Delaware and the re-awakening begins. 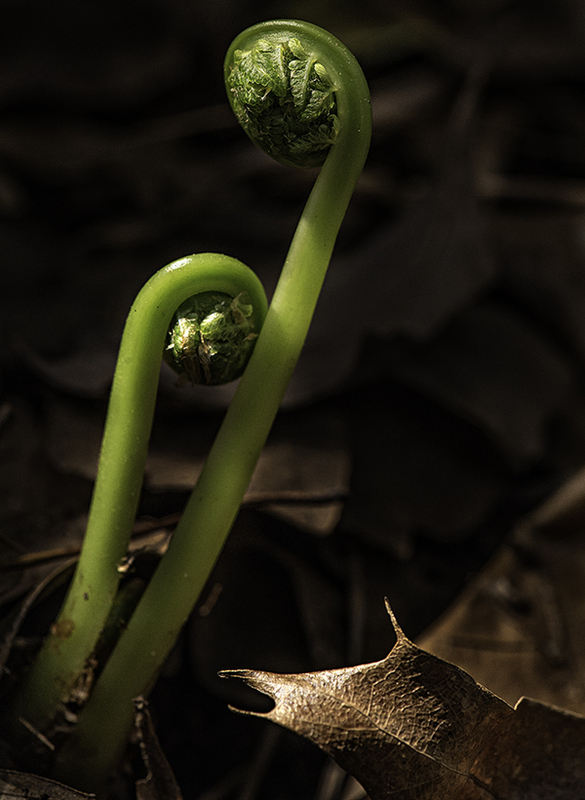 Ferns are rolling out their early season welcome on the edge of the woods. 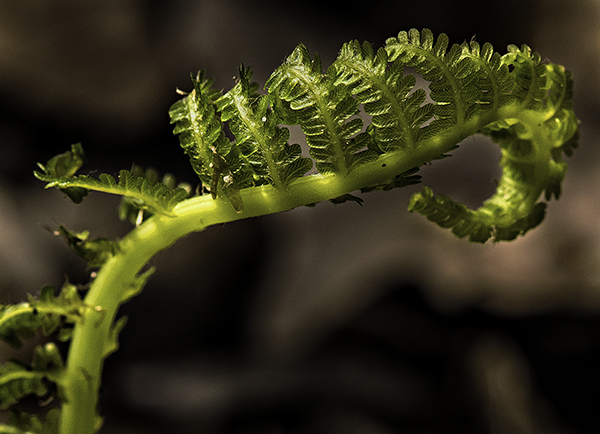 Spring ferns are still unrolling. 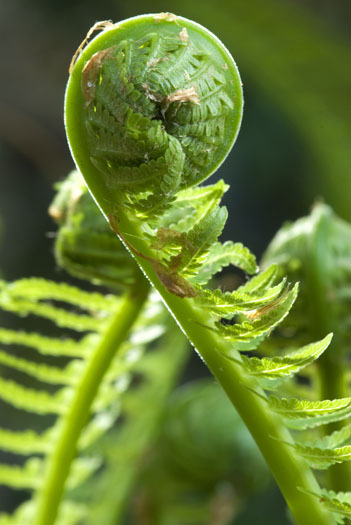 Ferns are unrolling from the forest floor as the spring sun gets higher in the sky and warmer. 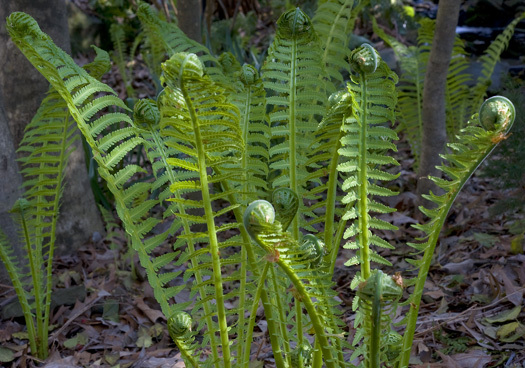 Appropriately, the unfurling of spring is, perhaps, best represented by the unrolling of ferns. I found these recently as they uncurled in a warm afternoon sun. It is certainly welcome to see the seasonal greening of the Mid-Atlantic region.